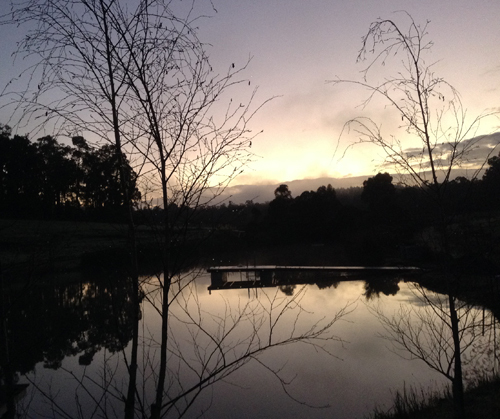 The property is an ex orchard and has two large dams for water storage. 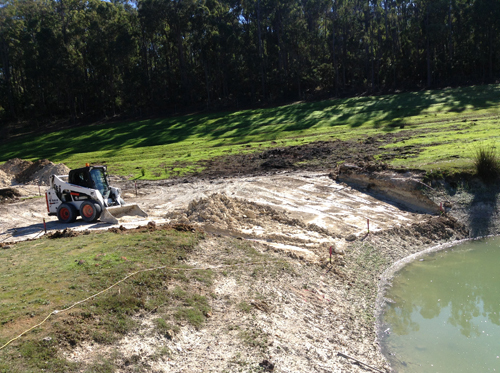 The dam has fairly steep sides and our clients wanted better access to the water for recreational canoeing and kayaking. 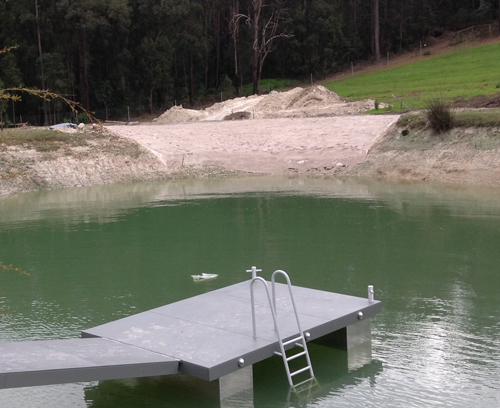 We installed a floating pontoon style jetty that fluctuates in height with the water level in the main dam. 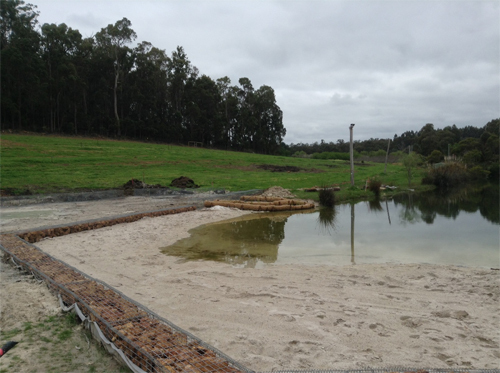 We also did earthworks to dig into the bentonite clay lined dam to create a beach area. 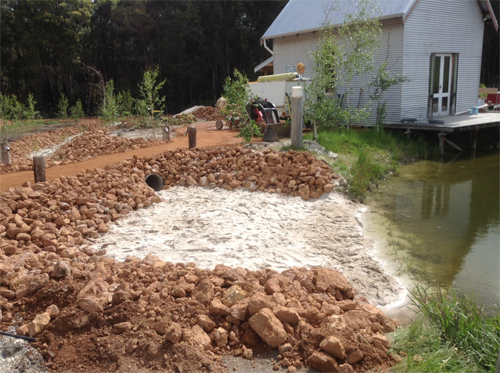 Clay and soil were removed to create a more gentle slope in one section of the bank, then the excavation was lined with GCL (Geosynthetic clay liner - An engineered bentonite clay & geotextile matting) and covered in course white sand. End result a white sandy beach and excellent canoe access to the water. 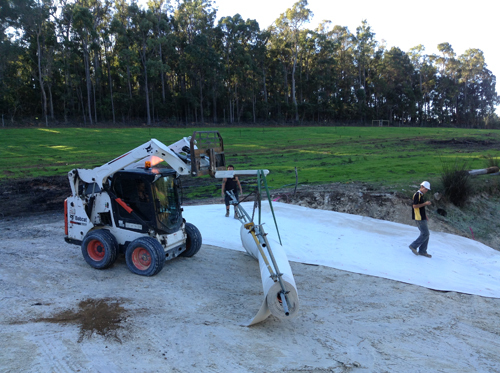 We also built an overflow inlet and stream lined with a mixture of GCL and plain geotextile to help spread the water in high rainfall/inflow events. A range of landscaping using local gravel and coffee rock in gabion cages and battered creates amenity areas and complements the property. 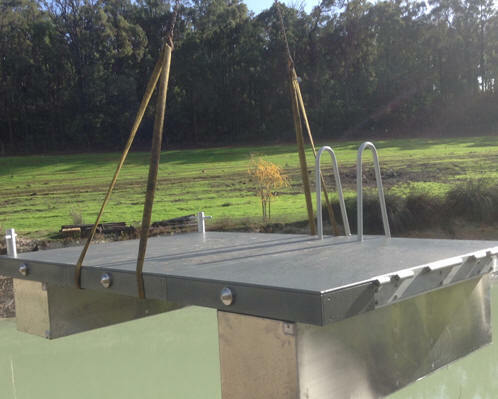 Overflow inlet to help spread the load when the dam has a very high rainfall & stream inflow event. The dam overflows into this inlet then the overflow continues through the pipe into a rocky streambed beyond.